Forty years after The Who created Quadrophenia, a celebration of the 60s Mod phenomenon, they are taking the stage show on tour. And they are hoping that the shows might be graced by the presence of the man who has put Mod style back in the spotlight – Tour De France winner and Olympic gold medallist Sir Bradley Wiggins. Wiggins and The Who have a mutual love and respect, although they have yet to meet. "He is invited to any of our shows," Roger Daltrey confirmed to The Sun. "I’ve written and told him that. I’m sure we will meet him - he has a free pass to any show he likes. What an athlete and what a gentleman." 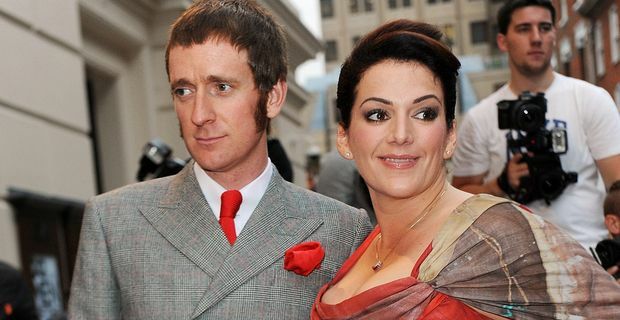 The 2013 tour would be the perfect opportunity for Wiggins to regrow the sideburns and get the parka out of the wardrobe for some Mod nostalgia. The Who will be performing Quadrophenia in its entirety for a UK and Ireland arena tour. The album was always one of their most popular and enjoyed a resurgence of interest after the release of the 1979 film starring Phil Daniels and featuring a youthful Sting. They have never managed to do justice to the album in previous tours. At the time of its release, drummer Keith Moon was in a bad state. When they devised a concept show in the 1990s, it was overcomplicated, as Pete Townshend admitted. "There was too much going on," he remembered, "too much story, too many images, too many guests. At one point we had Annie Lennox pretending to be the sea! That’s one reason I love playing it this time. We can make it fly now." Townshend and Daltrey will gauge the reaction to the Quadrophenia shows before planning their 2014 activities. That year will mark the half-century since The Who formed.